It is not a problem for our man and van team to help you move to your new home. We have the needed experience and tools to make this process stress-free and carried out without delay. At Moving Man we focus greatly on speed and quality. That is why you can expect nothing but the best service. We cover all areas of London, so all you need to do is contact us. Facing a small removals and want a swift services? Want your belongings transported to your new address as soon as possible and as safely as possible so that you can continue with your life? Then you definitely want us. We are Moving Man and we offer the best moving man and van in the London Borough of Havering. Moving house in Islington can be a stressful experience but it doesn’t have to be. All you need to make the process a little easier is moving man and van, and you won’t find one that provides a better customer support than Moving Man. We have a history of providing the best moving service in the N1 district and you will not be disappointed when you pass over all of your removal needs to us. The London borough of Hillingdon has long been served by the best moving man with van company in London in the form of Moving Man. We are far more than a man and van, our teams are trained to the highest possible level and we are constantly improving our service and perfecting our method of home removals throughout Hillingdon, UB8 area. Moving Man can provide you with all of the moving services you need in TW3 area without breaking the bank. You can get the moving help that you want without having to take much needed cash out of the budget for decorating your new home. Our moving man and van service in Hounslow has been consistently praised for delivering excellent customer service and as a relocation company we take a lot of care to ensure that our methods and the equipment that we use is of the highest possible standard. There is no doubt that moving house from Kensington and Chelsea can be one of the most stressful situations anyone can experience, and a lot of this stress is caused by the actual process of moving. If you want to reduce your stress levels and enjoy the exciting elements of moving and making a new start, then you need Moving Man. If you are currently in Kingston upon Thames or anywhere in KT1 area and you are about to make a big change and moving a house, then you are going to need some help to make sure your move is easy and stress-free. Moving Man can help you with that. If you are a Lambeth resident that you will happy to know you have an experienced and incredible value moving service right on your doorstep. Here at Moving Man we only use the best equipment and scientifically proven methods to provide you simple and easy moving. If you are looking for a fantastic moving man and a van service in Lewisham, then look no further than Moving Man. Our methods are award-winning and our equipment is the highest possible standard available. Every single one of our movers are trained to the highest standard possible and they all operate with the customer in mind at all times. Moving house doesn’t have to be stressful. Why don’t you hand over all the heavy lifting us so you can focus on the really important things? Here at Moving Man we provide an expert moving man and van service to all of our customers in Merton, SW19. If you are currently in the midst of organising a big move in Newham, then you are going to need moving man with van services to make sure the whole process runs smoothly. You won’t find anyone more capable of this task than Moving Man. Organising a move can be extremely stressful. There are many different things that you need to consider and the sheer amount of organisational skill needed is enough to give anyone a headache. However, you don’t need to do it all alone. Here at Moving Man our moving man and van experts can take care of all the physical aspects of moving in Redbridge. If you are in Richmond upon Thames, TW1 and you are looking for the best moving man and a van services in TW1 area, then look no further than Moving Man. Our moving service is the best you will find for miles. The methods that we use are award winning and our fantastic customer service ensures that we encounter no competition. Are you worried about transportation of your beloved possessions from a moving team? If you choose Moving Man you can trust that we will take care of your belongings as if they were our own. Not only we have highly trained movers coupled with modern transportation and equipment, but we also have rock bottom prices. If you are looking for the perfect moving company to take care of all of your moving needs around Sutton, then you’ve found it. Moving Man provides without a doubt the best moving services across SM1 region. Your needs will be fully realised by moving experts who work fast, hard and with exceptional skill. Once you have been experienced by the experts from Moving Man, you will never turn to another moving team again! Our moving company around E1 area is unparalleled. You might think that this is a bold claim to make, but it’s the truth. We work hard every day and put 100% of our effort into making sure that every simple customer is left satisfied and happy. Resident of Waltham Forest you are in luck. The incredible moving man and van service in Waltham Forest that is offered by Moving Man is going to another level of fantastic due to the exclusive offer available right now! Whatever your removal needs are, we guarantee that our moving man and van will be able to do the job quickly and exactly in the way you want it to be done. With Moving Man you will never have to sacrifice quality in order to afford removal services. Our moving services in Wandsworth are extremely high quality. All of our movers are highly trained and work incredibly hard and fast to make sure that every single customer is left feeling 100% satisfied with the results. Moving Man is focused on delivering great customer experience by providing high-quality and cost-effective moving solutions. Our moving services in Barking and Dagenham are the ideal way to effectively manage and optimise your relocation. We will not only guarantee the safe delivery of all your possessions, but also offer you the most competitive rates. Our extensive portfolio with diverse solution can suit both your moving requirements and your budget. Moving Man offers a wide range of moving man and van solutions within Barnet to help you relocate quickly and without any undue stress. When it comes to hauling valuable belongings, picking the right moving company is essential. You can completely rely on our trained and expert movers to collect and safely deliver your possessions to your new address in the EN5 area. If you require reliable moving help, then you might get overwhelmed by what Moving Man has to offer. Whether you are moving home or office, or just want to get a few pieces of furniture across town, we will carry out an excellent job. Moving Man will see to your needs whenever you need a reliable man and van service to handle a small removal for you. Anything from house removals to office removals or just moving about some furniture anywhere in the NW1 region is within our capabilities and we can do it excellently. We offer you a stress-free move delivered to you by the best relocation services in Brent. If you are struggling with a small removal in Bromley or anywhere in BR1 region, then struggle no more. What you need is to call us now and you will immediately be greeted by a friendly voice and showered with offers that can be tailor-made just for you. Pick one and get our moving man and van on the way. Moving Man knows how to treat a customer and you will get the royal treatment. Say goodbye to all moving-related worries and anxiety, because the solution to all your relocation problems is right here. Our moving service is exactly what you need for a swift and reliable move across NW1 district. We are the best company based in Camden and always offer the best services. Make your relocation smooth and effortless with our reliable moving man and van in City of London. Why stress over the small things, when we can manage the process for you quickly and efficiently. Our experienced movers can come at a convenient time for you and do all the lifting and hard work. Our helpful and friendly team will facilitate your relocation. If you are looking for reliable man and van at an unbeatable price in City of Westminster or anywhere in the SW1 district, you can turn to Moving Man. We provide cheap and reliable way to transport your belongings to your new place without any hassle or damages. Depending on your requirements, our professionals can manage the entire process from packing and loading your belongings to hauling them to your new address. Our man and van is the solution you want for all your moving needs. We have the workforce, the equipment, the gear and the vehicles and we will surprise you with each of those elements’ efficiency. Whether you need to move things from your flat or move hardware between office branches, or just move a new sofa across the CR0 area, we are here to handle everything you want. We are the leading moving company in Ealing, W5 and our man and van service is superb and has no equal in this region. The moving help we give to you are nothing short of spectacular and they can take all the stress and worry away from a move. Moving Man is well aware of what its clients need and is ready and willing to supply everything for them in order to gift them with a peaceful removal. If the time has come for you to move from one home to another in Enfield or anywhere in the EN1 area, it is advisable to start planning the process in advance. It is a difficult task, which requires a lot of planning and organisation to go smoothly and there is really no better way to ensure this than hiring our moving man and van company. We provide expert relocation assistance that are fit for every type of house removals you might need help with. If there is one thing that most people fear, it is the work associated with removals to and from Greenwich. London is a big city, and as such offers a great deal of moving man and van services, all promising a low price and safe relocation. Amidst all of the other, Moving Man stands out as a solid firm that has been on the market for some time now. Knowing that the deadline of your move is coming is most certainly going to stress you out. Moving in and around the E5 region is not an easy job, and you are surely buried in all kinds of tasks that require attention to organise the relocation. At Moving Man we are aware of what struggles our clients are most often going through, and have designed moving man and van service according to those needs. Are you feeling stressed about your move in Hammersmith and Fulham or anywhere in the W6 region? Do you feel like there is no time to do all of the remaining work and that you will not make it? If it is so, Moving Man comes as a solid solution against your worries. Moving house is among the most stressful situations you can find yourself in. It is not only because there is a ton of tasks that require an investment of time and effort, but also because it requires knowledge on how to organise and execute the whole thing. Hiring our moving man and van team in Haringey is one way you can go about the situation, the other being to try and move on your own. Given how helpful our man and a van is, there is no real reason to attempt this difficult task on your own. You could plan your move well in advance, acquire enough packing materials and ask people for help, but that doesn’t mean everything will fall into place. It often seems that no matter how prepared you are something during the removal always comes up to ruin your plans. To help you manage the process, hire our moving man and van company in Harrow and the surrounding HA1 district. 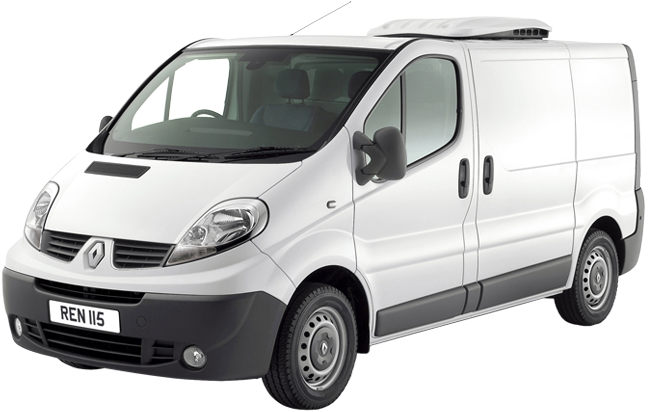 Talk to an expert of our company to book the man and van service for a time and date that’s convenient for you. Explain what it is you require and receive a free quote to see just how cost-effective our services are. Our professional team will arrive at exactly the right time. They will work very fast to load all boxes and items that you want to move. You can have peace of mind that all your belongings will arrive safely to their destination, for we are a reliable man with van company. Thanks to the comprehensive packages we offer at Moving Man, you can take advantage of speedy delivery and unloading. Our man and van service is very flexible. We can help you move furniture, appliances and pretty much any items you require. With us you don’t have to worry about anything, for we pack and load very carefully. Transporting your items is easy with our modern removal vans, regardless of how many you want us to move. We want you to know that at Moving Man we offer 24/7 customer support service. That way you know you can always rely on us for any relocation task. (14 Cube m.) Mercedes Sprinter. £40 for the first hour. £15 for every half an hour after that. £10 per hour for extra person to help the driver. £8 congestion charge where applicable. £45 for the first hour. £20 for every half an hour after that. £50 for the first hour. £25 for every half an hour after that. £55 for the first hour. £30 for every half an hour after that. You shouldn’t worry about the price of your move as we offer the lowest prices in London. This makes our man and van service suited for any budget. Our company is certainly one of the most affordable you can hire for your move. Thanks to our comprehensive packages, you can choose the best option for you. The pricing we offer is fair and corresponds to the high quality service we provide. Don’t just take these words for granted, but call now and get your free no obligations quote. See for yourself just how affordable we are. Let Us Move Your Possessions! Book with us today! Waste no time wondering, act today to get the best deal on our man with van service. Find out just how pleasant and stress-free your move will be thanks to us. Moving Man offers the best value service all around London! Can't rate MovingMan highly enough. They came through at the last minute with their man and van service to make sure our move went without a hitch. I called up to enquire about booking, and told them that I'd need help with packing and transport and they weren't phased. They told me I could tailor a service according to what I needed, which ended up being really cost and time effective. I'd have no qualms about recommending this moving company. Moving Man were excellent from the onset. I was happy with the quote they gave and they stuck to it. On the moving day itself, it was amazing watching their team get to work. They packed up the vans quickly and we were on our way in no time. They didn't dilly dally, just simply got on with the task at hand and completed it to a professional standard. The movers were polite, helpful and arrived bang on time. I would definitely recommend House Moving. I recently hired House Moving. Their removal services have helped me out a great deal. The domestic removals service from Moving Company was absolutely outstanding. I received excellent customer service and a great hard-working removals crew on moving day from Moving Furniture. I highly recommend MovingMan. They were a great team, very professional and efficient. They were friendly too. The removals crew worked hard to complete the job in time, ensure everything was taken care of, and that no stone was left unturned to ensure my move went by smoothly. Wanted to unpack my items quickly so I went for their moving and unpacking service. Not only were they quick and efficient but they also saved me lots of time and money. Thank you! From the packers to the moving men, everyone I had the pleasure of meeting from Moving Company was great. The removal services from MovingMan were just what I wanted. If I thought of hiring them sooner I would've gotten them to take care of other aspects of my move too. Description: Man with a van, Man and Van Hire services based in London offering quality removals at affordable rates in London and Greater London plus France.